We went back from South of France a few days ago with a Norwegian plane from Barcelona to Oslo. Over the most of Europe it was a perfect chance to look down to places we passed on this cloud free day. 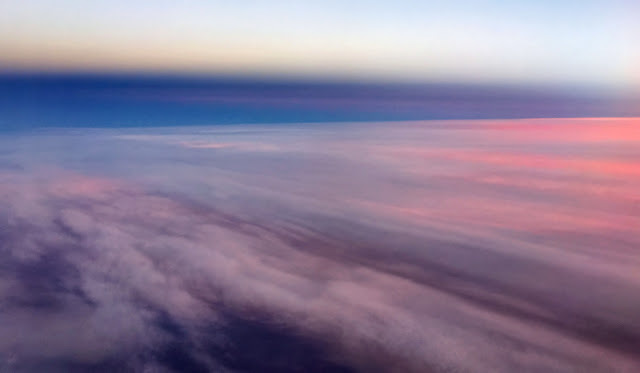 When we left the Continent and entered the Scandinavian territorium at 4pm the clouds was there and as we was facing east in the plane we had this strange sunset facing away from the sun - like a cloud dream.